Robin Robertson's The Long Take: A Noir Narrative chronicles the post-war journey of a traumatized soldier from Cape Breton, losing himself in the big cities of America, in the form of an elegy. 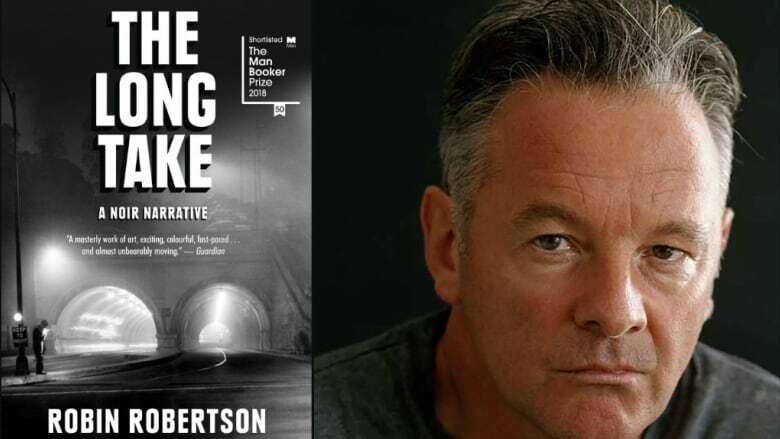 Scottish poet Robin Robertson's latest work, The Long Take: A Noir Narrative, tells the story of a traumatized soldier from Inverness County, Cape Breton, N.S., fresh back from World War II. We meet Walker, who goes by that name only, in 1946, not headed for home, but rather for New York City and the great promise of America at large. That promise unfolds — if not quite in a nightmare — more like a film noir than the proverbial American dream. The Long Take chronicles Walker's journey over a decade, all in the form of an elegy. The book was shortlisted for the 2018 Man Booker Prize. Here is part of Robertson's conversation As it Happens host Carol Off. I know you're a poet, but how daunting was it to approach a narrative of this size and scope — an epic, in fact — and to do it in verse? I wish I could claim it were planned. I simply wanted to write a longer piece of work of some sort. I had absolutely no idea what I was doing or how long it would take me or how long the book would be. So it was as much a surprise to me as it was to my publishers. After you settle into it, you can't imagine this being written any other way. Did you feel there was no other way to create the images of America, of the war, of Cape Breton, except to do it through verse? Well, by trade, I'm a poet. So that's the way I write — very dense. Some would say costive or constipated. Highly lyrical. But I realized with this book that for the first time I was dealing with quite alien territory — urban. And a series of characters that needed to be developed, and a narrative that needed to go somewhere. So I realized subconsciously the writing was going to have to be more adaptable. So there is the still the lyric, poetry, in this, but it's quite a loose form of poetry. And most people who dislike poetry say they haven't been put off by the way this has been written. They say, "Well, actually I completely forgot it was poetry after Page 3." Which is perfect. There are reviewers who have compared The Long Take to Homer. Not just because it's an epic poem, but because it's about the effects of war on soldiers. That's certainly in Homer's work, The Iliad, The Odyssey — men coming home, trying to find home again. What did you want readers to understand about the effects of war? I wanted, first of all, to have a character who had a psychic wound. My central character, Walker, who is a Nova Scotian ex-veteran with post-traumatic stress disorder has come back from the end of the Second World War. And he has been broken by it, and can't go home. He can't go back to the Maritimes. He is completeley shattered. And he does what many returning servicemen did, which is to go for the anonymity of the big city. So he starts in New York, and then Los Angeles, and then San Francisco, and then back to Los Angeles. And he's looking for some kind of peace, some kind of tranquility — the camaraderie that was the only thing decent about the war. So it does have a slightly epic scale. But I was interested in also looking at this particular time in North America. It's where the American Dream kind of unspools, and starts to fail — even though the U.S.A. was at that point at its most powerful economically and globally. This is a pivotal moment, in a sense, historically and culturally. He is intrigued with Hollywood movies — and of course The Long Take and the whole film noir part of your poem is so key to that, his looking through that prism of movies. What is the America he is travelling in? It's a place that had almost doubled its economy during the war years. And all the cities were full of migrant workers. And all the Indigenous communities were being displaced. It was the beginning of civic turmoil that has continued to this day. It was during the cult of the car, so in places like Los Angeles, most of the city centres were being pulled down so that they could build parking lots or freeways or garages. It's a place of great transience, and there was no real room for people. And film noir is effectively the art form of this period from the mid-'40s to the late '50s. And it is timed very nicely with some of the best jazz that was ever made. This is that smoky after-hours melancholy feel of the city at night. He finds himself mirrored in these films — the excitement, the disorientation, the vulnerability, the desire, the anonymity of the city. Film noir charts that violent, incoherent, but fascinating world without any moral boundaries or social cohesion. And that's what urban America seems to have been like during this period. It was frontier time. 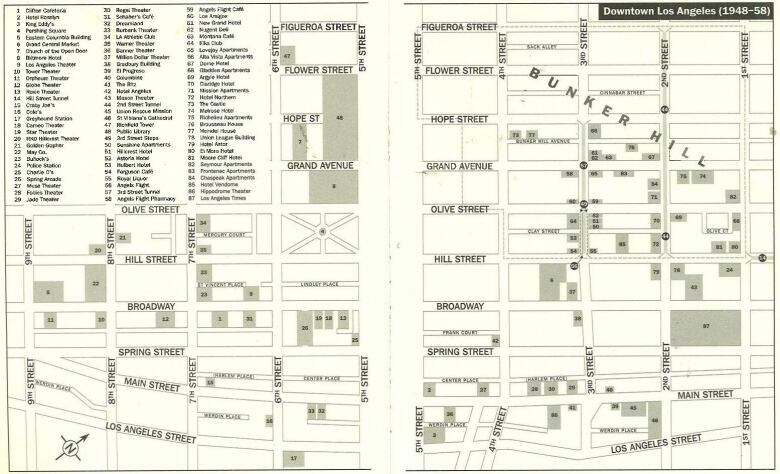 Though there are so many different geographical places you take us, Bunker Hill is the most important piece of geography because everything comes together in Bunker Hill. Can you tell us what it was at that time, and is now? Well, it doesn't exist anymore. During the late '40s, early '50s downtown Los Angeles was being abandoned for the suburbs. And Bunker Hill was a once genteel and then rather shabby 130-acre community, which sat high above downtown. It was systematically cleared and demolished to accommodate a freeway system and central business district. And this was some 2,000 people just evicted and their homes were levelled. And then Bunker Hill was levelled. The reason I'm fascinated by Bunker Hill is that it was the backdrop for many of the most important film noirs. All these films were made on the cheap, out on the streets. And it doesn't exist anymore. Walker was part of the North Nova Scotia Highlanders. He landed on the beaches of Normandy, presumably, in what Canadian soldiers describe as "Hell's Corner" when it came to D-Day. And he did witness hell, didn't he? Yes. There is a rather-badly documented war atrocity, which I'm sure is known about in Canada, but certainly it was news to me. Nearly 200 Canadian prisoners of war were killed by the Hitler Youth Panzer regiments. And so this rather sort of fell into my lap. And Walker became part of that regiment. To describe that as "badly-documented" part of Canadian history is understatement. It's not well-known at all, and I thank you for reminding people to start exploring this through talking about it. But I wonder why you did choose a Cape Bretoner as a protagonist in your story? Why not someone from your own country? I wanted very much the central character to be Canadian — from the same land mass as the U.S., but an outsider — just as I was an outsider moving from Scotland down here to England. It allows a certain distance, a certain angle to the inquiry. And also because I spent a year with in Canada doing a master's degree with Alistair MacLeod, the great Cape Breton novelist and short story writer. So I had a fondness for the place before I even set foot on it. Written and produced by Kevin Ball. Q&A edited for length and clarity.